Tip #4: Download our Shopping Guides Use either IRT’s new Non-GMO Shopping Tips brochure or redesigned Non-GMO Shopping Guide to help you identify and avoid GM foods. We devote an entire page in each guide to help you uncover hidden GM ingredients on food labels that often read more like a chemical periodic table. If you have an iPhone, download our ShopNoGMO guide for free from the iTunes store. 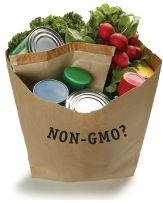 Other resources: To learn more about eating non-GMO in restaurants. Find local sources of organic food and GM-free meats. 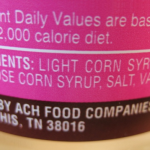 Avoid Aspartame in non-food items. Find sources of non-GMO seeds.